On the Internet, the ultimate goal for any business is to be seen as soon as soon as someone types in its product or name in the search bar. With so many websites and competing businesses out there, this may seem like an impossible task, especially for small businesses. It can seem daunting, and many people feel too intimidated to start the process. But if you take the right steps and stay patient, you can use search engine optimization, also known as SEO, to help get your website ranking on the top page of most any search engine. Below, Virtual Market Advantage will take a look at the reasons why a business may be hesitant to start up an SEO campaign by looking at some of the major common concerns. Hopefully we help you see how you can easily get started with SEO! It might seem like those websites that are number one on the Google search page are using some secret formula to get there, but there's no magic involved in SEO. It just requires consistency and sticking to an online business strategy that has been adapted specifically for that business. Getting started with SEO will not get you results over night - the process will take some time (read more about this problem here). Any business wants to see a good return on investment, and some small businesses fail to see the value in setting up a good SEO campaign. For some, the time and money spent does not yield the results as fast as they would like. But to get good organic results from setting up your SEO campaign, you need to be patient in the process and let it do its job. SEO is too invaluable to go ignored by a small business wanting to gain a presence on the Internet. Provide interesting content, interact with your audience, and be patient to achieve what you want for your business. It will be worth the effort. Learn link building - You want to create connections between your site and already established, trusted sites. Research keywords - In order to direct your customers to your website, you need to know what words they're using in searches. Create content - You can write short blogs on any subject. Try using your customers' most-asked questions or how-to guides as a starting point. Engage your audience - Interact with your customer base on social media sites. Track your progress - If you're feeling confident with the other ideas, start to regularly track the analytics behind your website to see what works and what doesn't. There are many advanced technical tools and techniques that can be implemented, making it scary to begin. It can be a good idea, especially for the initial setup, to turn to an experienced and trusted agency for help. If you do go the agency route to set up your SEO campaign, just make sure you clearly communicate what you want out of your SEO campaign and for your business. A good agency will start slowly with you, explain every step they take, and help you build up your campaign exactly as you need. If you’ve started researching SEO, you may have seen the warnings of SEO penalties from Google. It’s true that there are penalties out there for those who are unaware of the proper methods for SEO. It’s frustrating to take the time to set up what you thought was a foolproof method, only to find out a month later that Google has a problem with it. With this issue, it’s important that you build your strategies around the current best practices for SEO. If you have a young business or are still new to learning all the ins and outs of SEO, this is one of the factors that may push you to use an agency to help you get started. If you go with an agency, make sure you check their history of setting up and running SEO campaigns and know their track record with other businesses. There often comes a frustrating moment in your SEO campaign when you start seeing more traffic flowing towards your website but aren’t seeing any improvement in customer conversions. If you’re going about getting your SEO started by yourself, you need to understand the importance of using the right keywords. These are the words or phrases that your potential customers type in when looking for what your business offers. Keyword research and use will undoubtedly be a big part of your SEO campaign, whether you go it alone or use an agency. The best way for you to choose your keywords is to use a keyword analytic tool (here are some examples), and make it part of your strategy to use the best keywords you can for your website. This is something that will take time to work out and will need to be tweaked and reworded periodically. After you’ve chosen your keywords, you need to intermix them organically among all of your SEO content, from blogs and social media posts to the back end of the website. Gaining customer conversions from your website’s traffic can come down to proper keyword use and your patience in letting the SEO campaign do its work over time. Even after reading this article, you may still feel a bit overwhelmed by SEO and that it’s just too complex to accomplish. You need to first remember that SEO is just a small part of your business strategy, and one that can be eased into over time. While you let your SEO campaign work slowly in the background, you can focus on more traditional marketing methods, such as advertising, special sales, and building relationships. 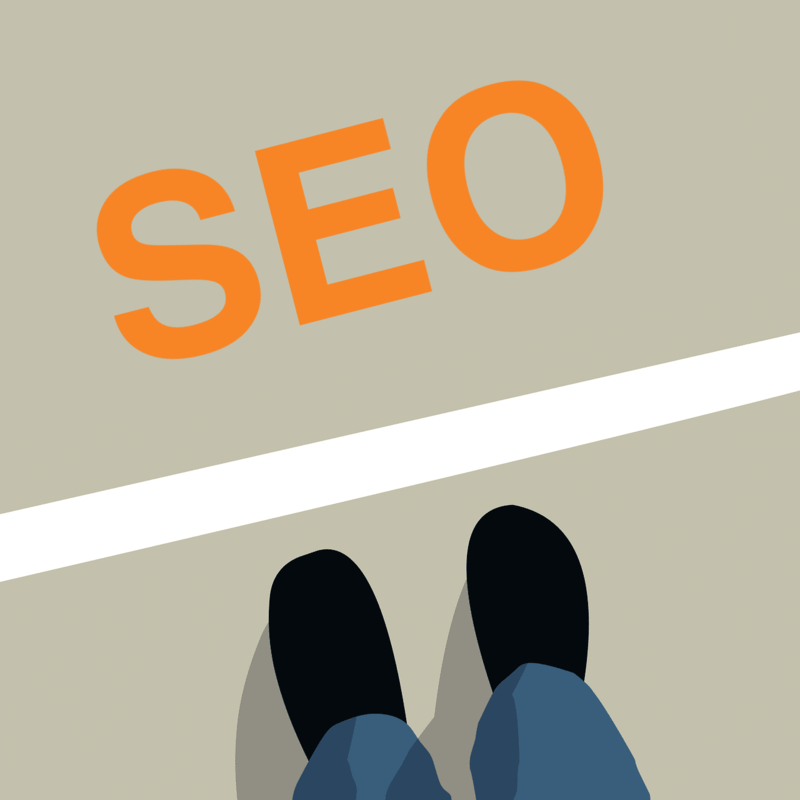 It’s understandable to be leery of spending the money and time on making an SEO campaign work. If you go into the process knowing the investment of time and money that it will require, as well as understanding that you won't see the results overnight, then you’re ready to start building your first SEO campaign. It's a complex process, so be ready to take it slowly and learn as you go. And if you need some help, Virtual Market Advantage is here to help. We love getting small businesses started with SEO, and offer packages that range from providing simple website setup to completely designing all aspects of the campaign, from content creation to social media!